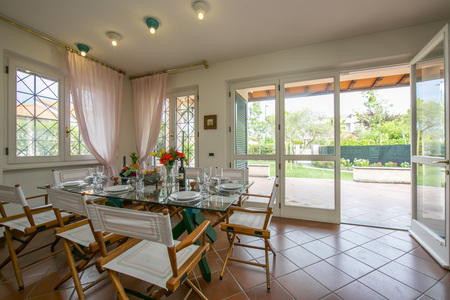 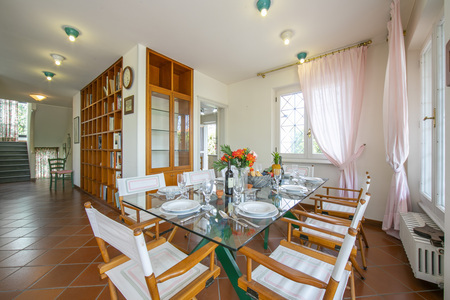 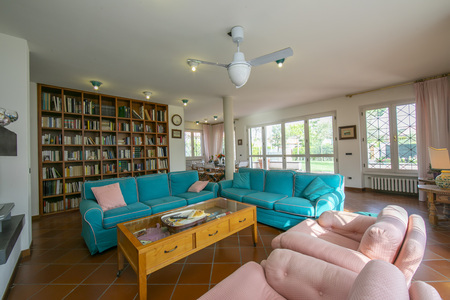 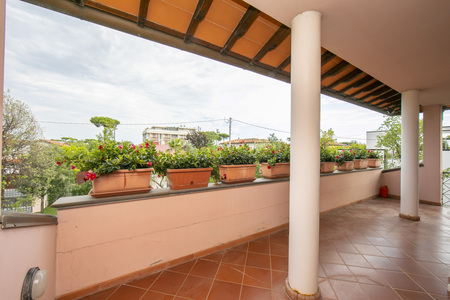 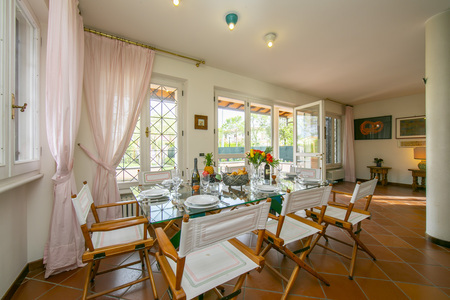 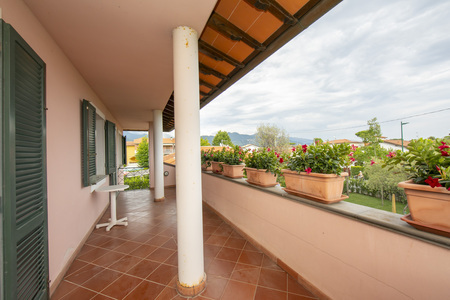 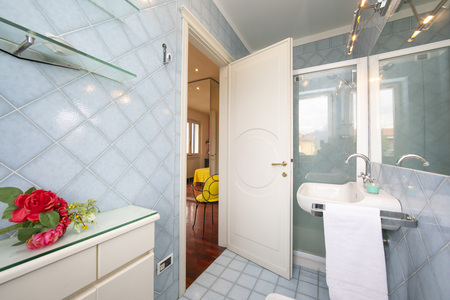 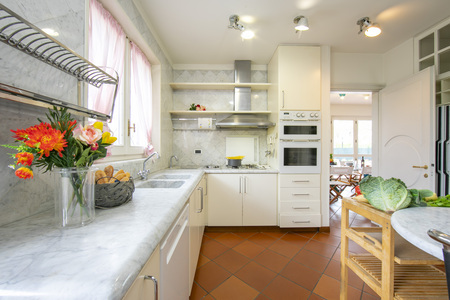 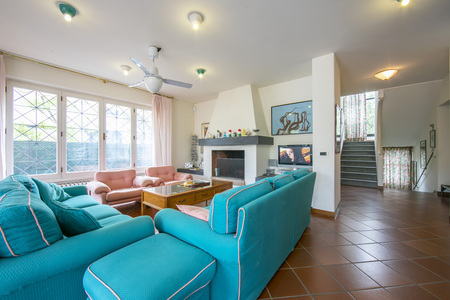 Enjoy a happy family holiday in Forte dei Marmi, from this exclusive private 5-bedroom villa with garden! 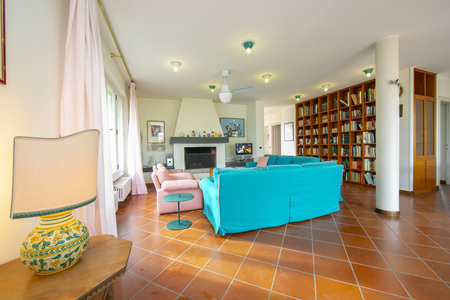 Perfectly poised for memorable holidays along the Tuscan coast, this modern 2-storey villa sets the scene for living the ‘dolce vita’ whilst away. 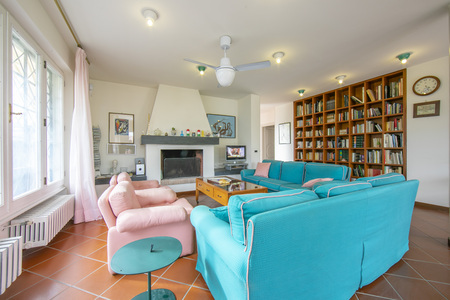 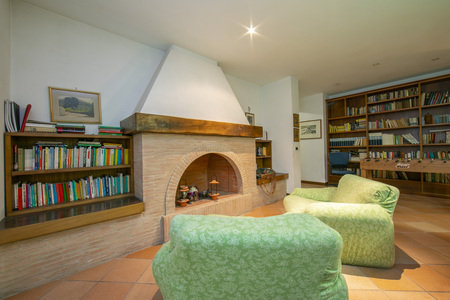 Inside, the detached villa boasts a light and airy ground floor with contemporary style living room with fireplace and library, alongside an adjoining garden view dining area with terrace access and a stylish, well-lit modern kitchen with breakfast bar. 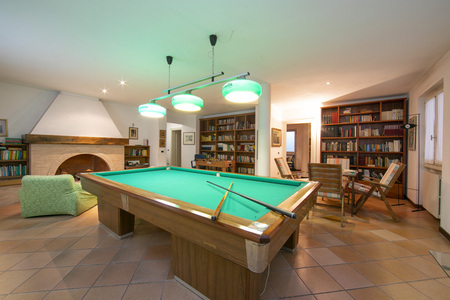 A lower ground floor provides a casual extra sitting room with snooker table. 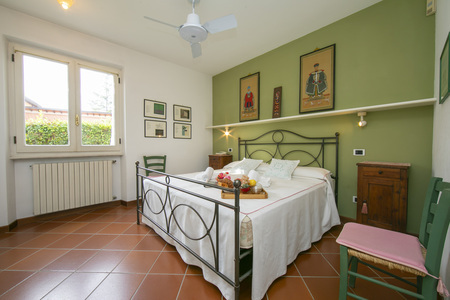 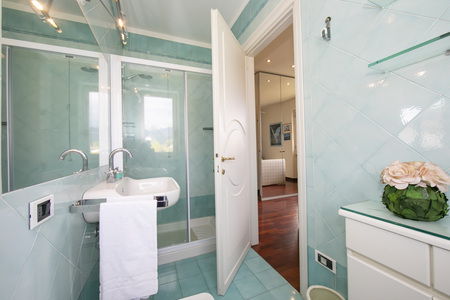 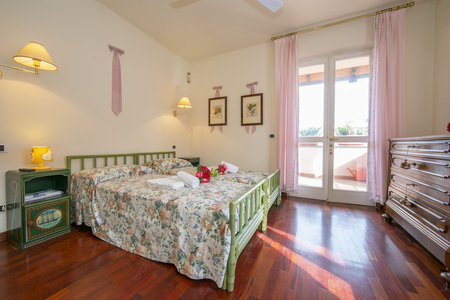 The villa’s upper 1st floor boasts three air-conditioned en-suite bedrooms, comprising of 2 bedrooms furnished with two separate single beds and 1 with twin joinable beds. 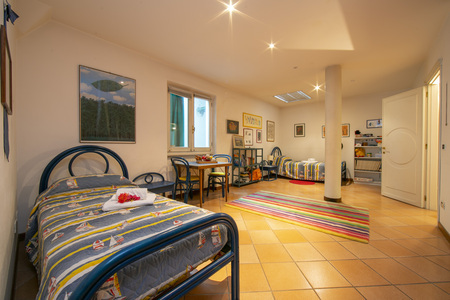 To the ground floor, a king-size double bedroom features whilst to the lower ground floor, a family room with 3 separate single beds is provided. 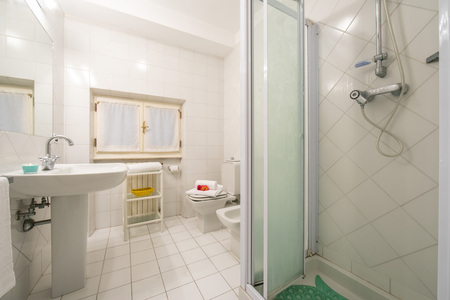 A shared family bathroom and shower room are also conveniently provided, alongside a spacious utility room with laundry and facilities. 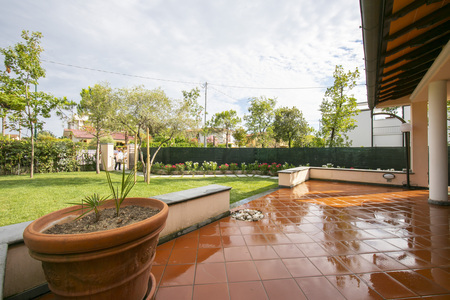 Outside on the ground floor, a spacious tiled terrace leads to a large well-maintained private garden, mainly laid to lawn. 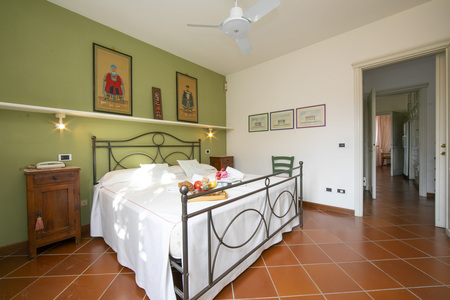 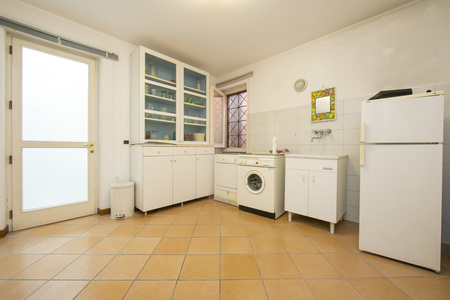 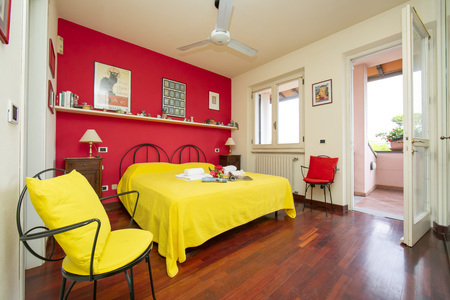 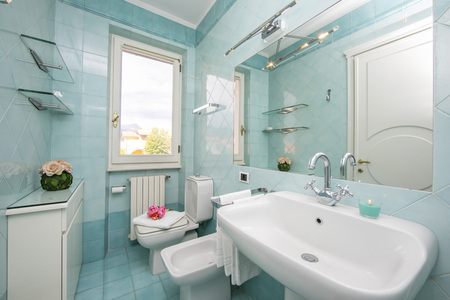 Private parking is also on hand and the delights of the Tuscan coast are within a short drive away. 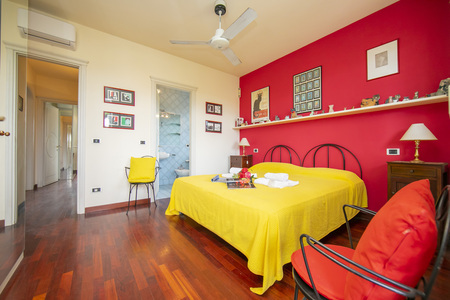 Sleeping- Lower ground floor- Bedroom 1: Family-friendly guest room furnished with 3 single beds & wardrobe Ground floor- Bedroom 2: A gorgeous double king-size bedroom with wardrobe 1st floor- Bedroom 3: An air-conditioned balcony room with 2 single beds, en-suite bathroom & wardrobe Bedroom 4: Air-conditioned twin joinable bedroom with balcony, en-suite shower room & wardrobe Bedroom 5: Welcoming air-conditioned room with 2 single beds, en-suite shower room & wardrobe Bathrooms- Bathroom 1: A modern family suite fitted with a bath tub, shower, wash basin, WC & bidet Bedroom 2 En-suite: A contemporary en-suite shower room with wash basin, WC & bidet Bedroom 3 En-suite: A contemporary en-suite shower room with wash basin, WC & bidet Bedroom 4 En-suite: A contemporary en-suite shower room with wash basin, WC & bidet Bathroom 5: A modern fitted family shower room with wash basin, WC & bidet Additional- • Digital TV • Upon request, a portable WiFi device can be hired (for an extra charge) • Air-conditioning to the 3 bedrooms on the 1st floor • Central heating • Fan • Fireplace • Washing machine • 20 internal steps • 2 external steps • Alfresco dining terrace • BBQ • Private garden • Private parking space • Car is recommended Location: The detached villa is situated along a pleasant secondary road, within easy driving distance of Forte dei Marmi. 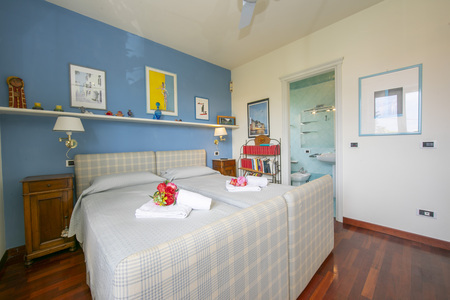 The fashionable nearby resort boasts a wide selection of restaurants, shops, lido beaches, a golf club and a varied range of visitor attractions. 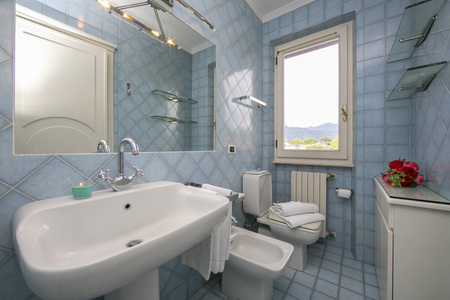 Other local and regional highlights include nearby Viareggio, Pisa, Lucca and Florence (all under 1.5 hour’s drive away). 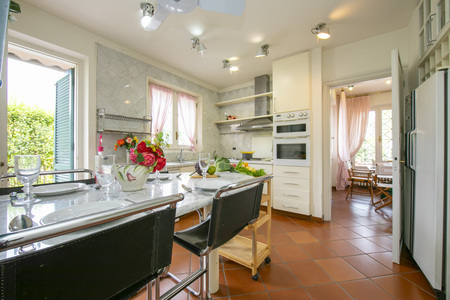 The additional service charge is 500.